Your Say: Do you ever finish your lipsticks? 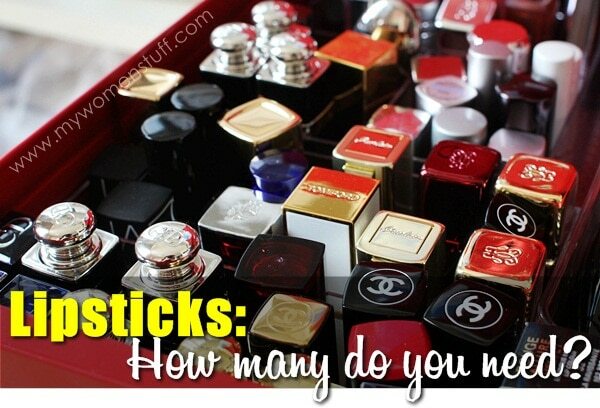 How many lipsticks does a girl need? Ah, Lipstick Bandits and fellow readers, have we got a conundrum on our hands! 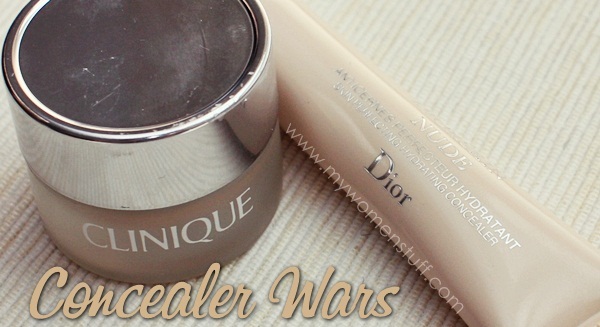 I’ll compare them on 3 grounds – packaging, texture and effectiveness. I think that should cover it <- cover it geddit? 😛 Before I get even punnier, lets get going. 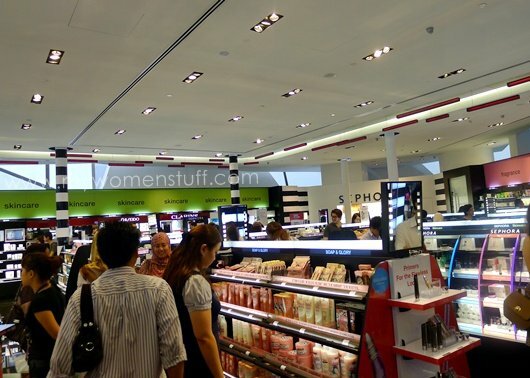 Sephora Malaysia at Bukit Bintang, Kuala Lumpur : Hit or hype? Alright, alright! I’ve bowed to the general pressure (and curiousity) and stepped foot into the hallowed halls of Sephora Malaysia LOL! I was there during the weekend, after having a lovely dim sum brunch with 2 new friends. Since we were “in the area” (loosely defined) we decided to pay Sephora a visit and see how it fared, as 2 of us hadn’t been yet. 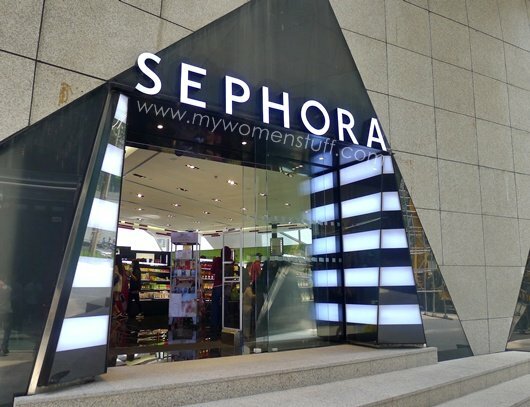 The first Sephora store in Kuala Lumpur (yes there’ll be there is another at KLCC soon) is located within an interestingly designed geometric sphere on Jalan Bukit Bintang, just outside of Starhill Gallery, opposite Pavilion Kuala Lumpur. Access to the store is through 2 doors – from Starhill Gallery and from Fahrenheit 88. My first impression of Sephora KL was “Gosh! That’s small!” I swept my eyes around the place, and you can literally just about see everything since its circular. This picture is proof – I’m standing almost at the other end of the room – if I could just call it that. Despite the diminutive size, I do think its done quite well, all things considered. 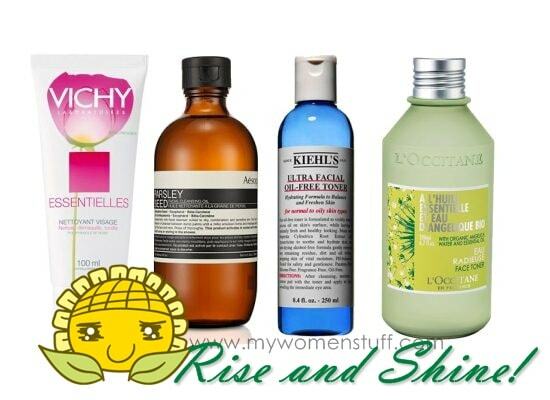 I’ve got loads of pictures below, so you can take a virtual visit through our local Sephora, if you haven’t been there, or are living outside of KL, or just would like a point of reference. I’ll have some commentary and an idea of prices of products as well. So come on then, let’s go!